Compact car is a term used for a small sized car. The Environmental Protection Agency (EPA) classifies a passenger car with an interior and cargo area from 100 to 109 cubic feet as a compact car. By virtue of its smaller size and weight, compact cars generally have better fuel efficiency, they are easier to drive and park, and are often cheaper than larger vehicles. This has made the compact car be very appealing for drivers who require long commutes and live in an area of high traffic density as well as for those who are first time owners of a car, or for those who need an affordable used car. Starting at $16,810 / MPG City: 27 mi. / MPG Highway: 37 mi. Its nimble handling, good fuel economy and a luxurious interior are just some of the reasons why the Ford Focus has a notch above most compact vehicles. 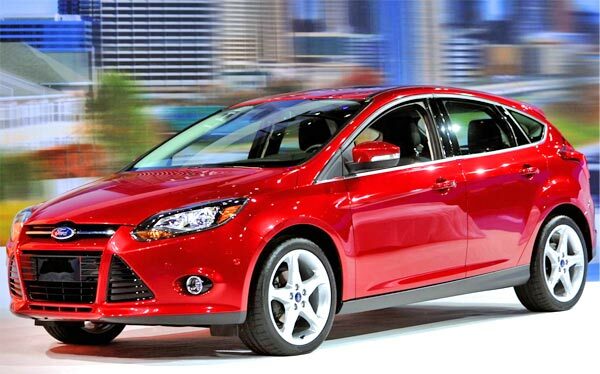 The Ford Focus is powered by a four-cylinder engine that most reviewers say provides the right energy. A five-speed manual transmission is standard and an automatic six-speed transmission is optional. It has a precise steering and a tight suspension which provides great cornering capability and a comfortable ride. In addition, many critics point out that all the performance attributes of the Focus are amplified if you opt for the Focus ST. 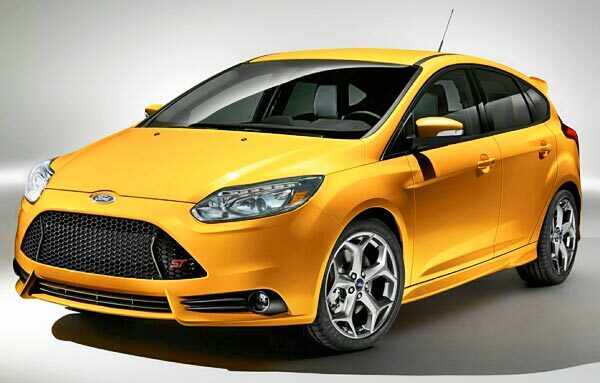 It is said that the Focus ST combines a powerful turbocharged engine with an exceptional handling, making it one of the best performers in its class. It is a little bit more expensive, and currently you can get it for less than $24000. The Focus interior has a striking design and is built with better materials than many other compact cars. 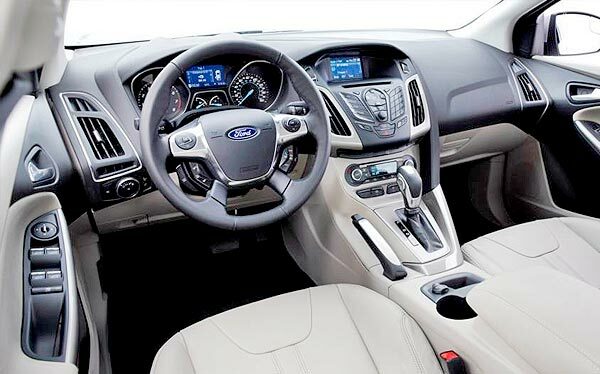 The front seats of the Ford Focus are comfortable and have plenty of legroom and head. The optional high-tech features such as MyFord Touch infotainment system, is for many, the best in the market. The MyFord Touch is available with or without navigation and includes a 10-speaker stereo, dual-zone automatic climate control, and 8-inch touch screen system. The Ford Focus comes with many standard features that others add as an extra, including keyless entry and a stereo with four speakers with an auxiliary input jack and CD player. The options and features of the premium models include leather upholstery, heated front seats, satellite radio, rear parking sensors, a backup camera, Ford's Sync system with Bluetooth phone, audio streaming and a USB port. Test drivers agree that the Ford Focus is one of the best handling cars in the class, and has enough reasons to boasts of being the best selling car in the world. Starting at $18,190 / MPG City: 29 mi. / MPG Highway: 38 mi. The Honda Civic comes with a four-cylinder engine that accelerates quickly with the five-speed manual transmission, which has a clutch that is easy to use. Many fans opt for the continuously variable automatic transmission (CVT), which is very soft and makes excellent use of the engine power. The Civic has strong brakes, and the suspension does a good job of absorbing road imperfections. However, some critics say the Civic is the most fun car to drive of its class. 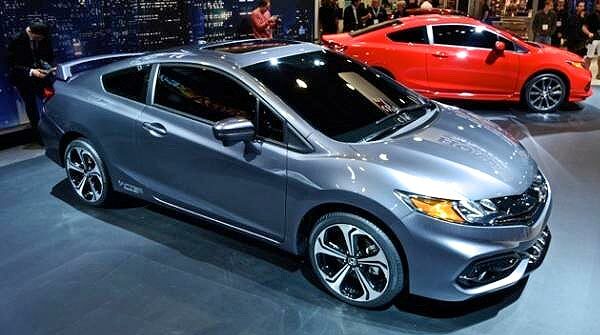 A mixture of high quality plastics and soft-touch surfaces make the 2014 Civic feel smarter than previous years models. The use of sound insulation materials makes the cabin is very quiet. The front seats are comfortable and there is plenty of room in the rear seats. The Civic is nicely equipped for its class and comes with features like a rearview camera, Bluetooth phone, audio streaming, a function that reads incoming text messages aloud, a USB port, an auxiliary audio jack and steering-mounted audio and cruise controls. Cargo space is a bit small for a compact car, but critics are satisfied with the amount of interior storage compartments. 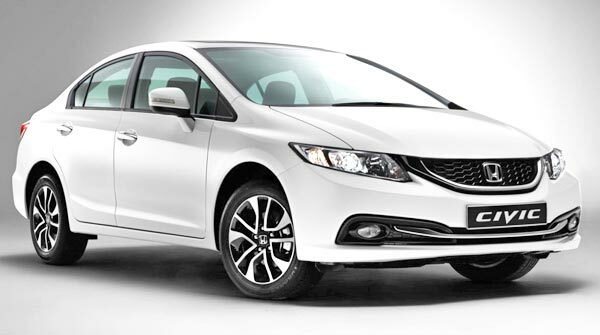 The most of people think the smoothness of the engine, its strong resale value and plenty of standard features make the Honda Civic a solid contender in the category. Its coupe version is the cheapest one which you can currently get for only $18,190. Starting at $15,990 / MPG City: 27 mi. / MPG Highway: 36 mi. The Nissan Sentra has a four-cylinder engine that provides adequate power for dirving in the city and on highways, but it feels low powered when you try to overtake another car at highway speeds. It comes with an optional an automatic CVT (continuously variable transmission) or a six-speed manual transmission standard. The cabin of the Sentra has a very detailed decoration which includes soft materials of high quality and has one of the roomiest rear seats of the class. It has remarkable trunk space, we could say that is one of the widest in its class, even as wide as the one of any mid-size car. 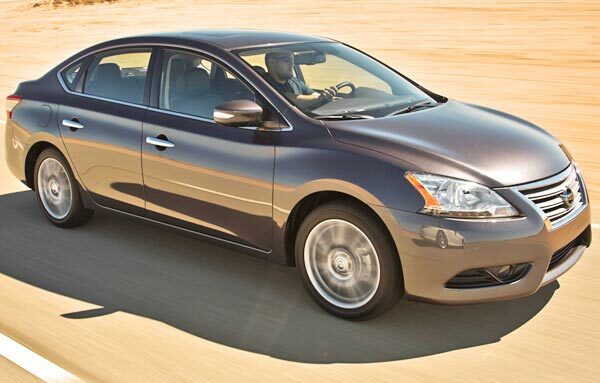 The Sentra 2014 comes with a sound system that includes CD player, 4 speakers, and auxiliary audio input. It also has many available options such as Bose stereo with 8 speakers, USB port, audio streaming with Bluetooth technology, satellite or XM radio which works along with a nice 5.8" touch-screen navigation system, rearview camera, power sunroof, ignition start button, hands-free text messaging and the NissanConnect technology that links the car's infotainment System with your favorite smartphone apps like Facebook or Pandora Internet radio. The sound quality of the standard audio equipment is very very good. The Sentra offers a decent ride, is very easy but not very interesting to drive, especially if you compare its handling with rivals like the Ford Focus. It has a roomy back seat that makes it great for long trips, and also comes with a cargo area plenty of space. 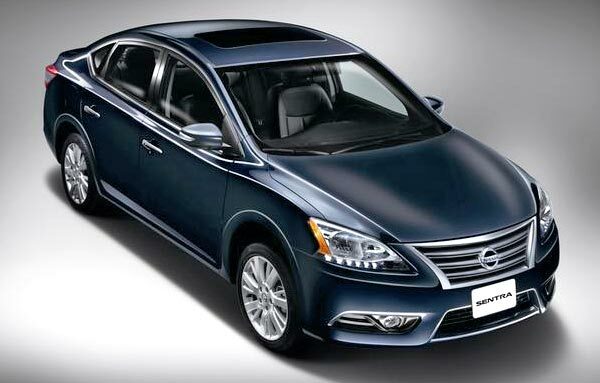 Its reliability is a strong selling-point of this affordable vehicle of Nissan. Starting at $17,200 / MPG City: 28 mi. / MPG Highway: 38 mi. The 2014 Hyundai Elantra sedan has a four-cylinder engine and standard six-speed manual transmission or optional six-speed automatic. The steering is precise, the transmission shifts smoothly, and its ride is super comfortable both in long trips and short ones. 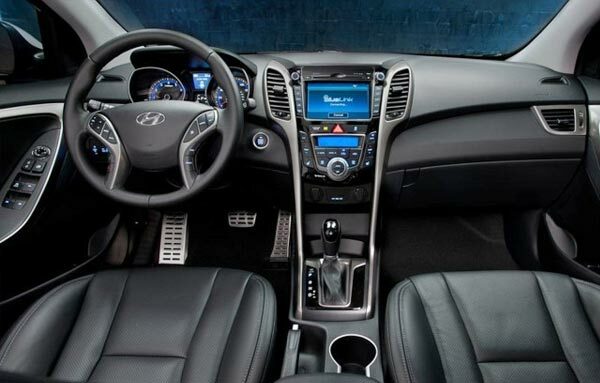 The interior of the Hyundai Elantra has a modern design approach, with a well-organized center console that integrates seamlessly with the numerous curves throughout the cabin. While there are some hard plastics elements here and there, these elements are convincingly placed to make it looks a little more upscale. The Limited version is comprehensively more luxurious than the others models, and if you add the optional Technology Package the luxurious features increase (better sound system, navigator, infotainments system, Sirius XM Satellite Radio, heated seats, power sunroof, Bluetooth techonology, USB port, auxiliary audio input, multi-function steering wheel, rearview camera, etc). All the gadgets and controls are easy to use and are well distributed on the dashboard. In general, the Elantra offers more space than you would expect from a compact car. The headroom in the front is plentiful with the steering wheel a little smaller in diameter than normal, which increases the sportiveness and the feeling of space in the first row. The back seat is good for kids and even most adults, although taller passengers will find little headroom, opposite to the legroom which is very ample. The Elantra sedan with a large trunk of 14.8 cubic feet of cargo space, a generous number for this segment. 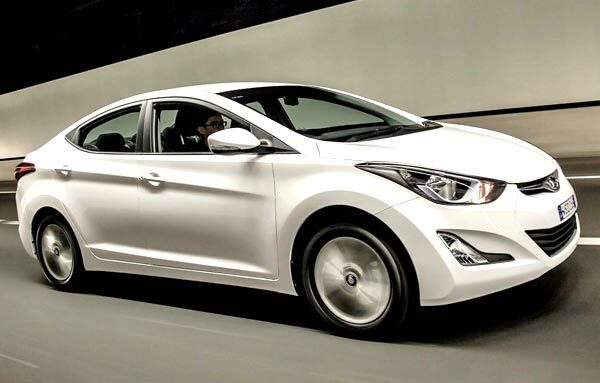 This successful model of Hyundai has excellent safety ratings, reliability and plenty of space for passengers, but you can feel it lacks a bit of power, and there are some complaints that its fuel economy isn't as accurate as Hyundai advertises in its data sheet. Starting at $15,995 / MPG City: 28 mi. / MPG Highway: 40 mi. The Dart Dodge 2014 base model is equipped with a four-cylinder engine which has been described as slow and boring, but an optional turbo engine makes the Dart much faster, and a larger four-cylinder engine that is new standard on the SXT, Limited and GT models, is even stronger, although its opponents have more power and better performance. The six-speed manual transmission included in the standard model, thanks to the design of the gearshift, makes it very accurate. The six-speed automatic transmission, although it is very smooth, is usually slow to downshift when the vehicle needs more power to overtake other vehicles in the road. 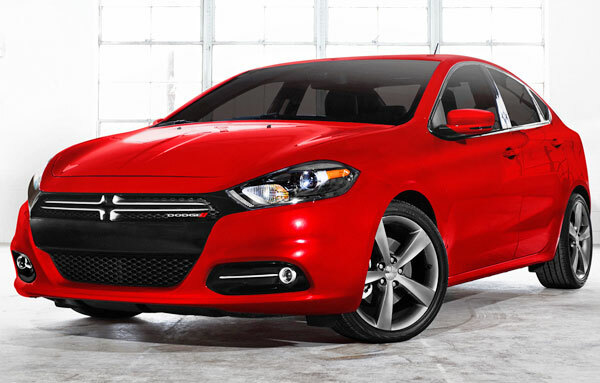 The 2014 Dart has a higher than average rating in terms of safety, which makes it stand out in its class above the rest. It comes standard with 10 airbags, including driver knee airbag. The Dart has a unique interior which mixes hard plastic with soft-touch surfaces, beautifully designed and of very good quality. Its cabin is very comfortable and has enough space even for tall people. When you are behind the wheel of a Dodge Dart, you will feel you are driving more a midsize sedan than a compact vehicle. 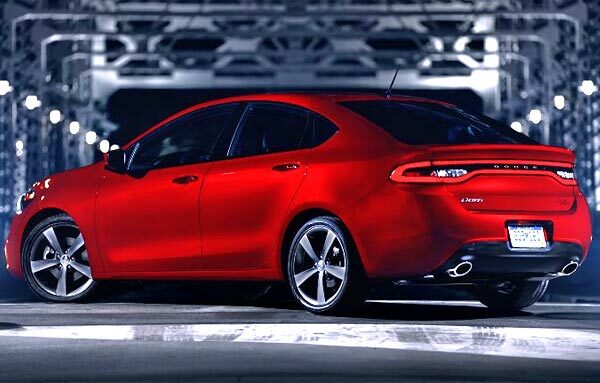 DODGE DART 2014. Side view. The model base comes equipped with a 4-speakers stereo which has an auxiliary audio input to plug-in your iPhone or music player. If you upgrade the model to a premium, you will get AC, power locks and cruise control, features that are standard on most vehicles. 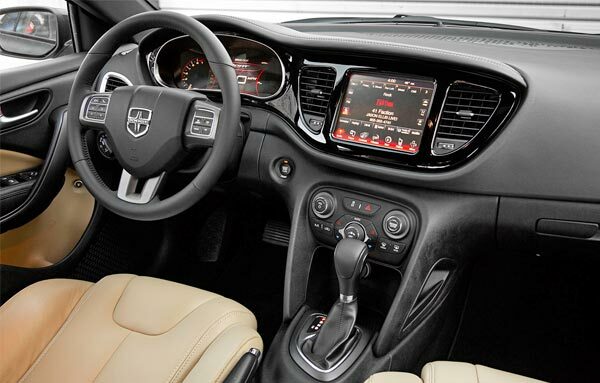 Another extra features you can include in your Dart if you pay a little more are: USB port, Bluetooth technology, navigation, rearview camera, a super nice Alpine audio system attached to a 8.4" touch screen which is also part of the Dodge's Uconnect infotainment system. This huge 8.4" touch-screen gives to the Dart some advantage over its opponents. The Dodge Dart is attractive for its Italian DNA, its user-friendly high tech features and comfortable interior, characteristics that help it to make part of the top 5 best 2014 compact cars you can buy for under $25000. Among the negative points we found in the Dart are: its opponents are faster and they also get better gas mileage.